The Course/Site summary block provides a summary or description for your course as contained in the summary text of the course settings. Instructors can also add an image. NOTE: Instructors will have to turn on the Course Summary block and ALSO enter a summary of the course in the Settings. 1. 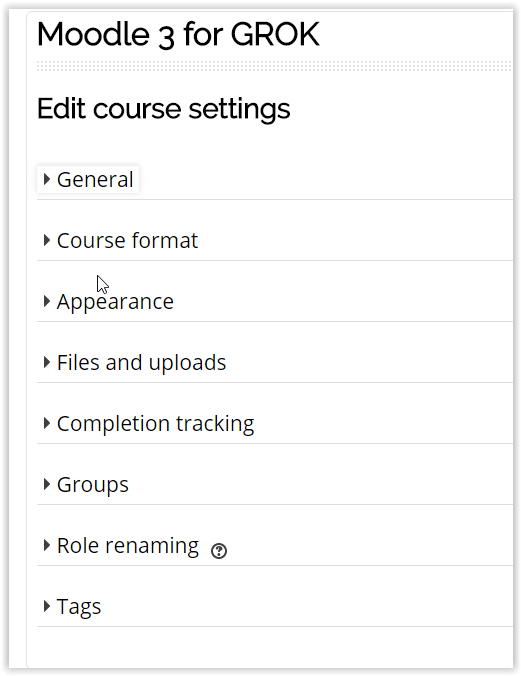 Log into your course on Moodle and click the Edit button at the top right of the screen. 2. Select Course / site summary from the Add a block drop down menu at the bottom of the screen. 3. Click the small gear icon at the bottom right of the Course/Site Summary block. 4. You will be directed to the Course Settings page. Open the General area of the settings page. 5. Add a description of the course. If you would like to add an image, click the Image button on the text editor bar. 6. If adding an Image, the Image Browser will appear. 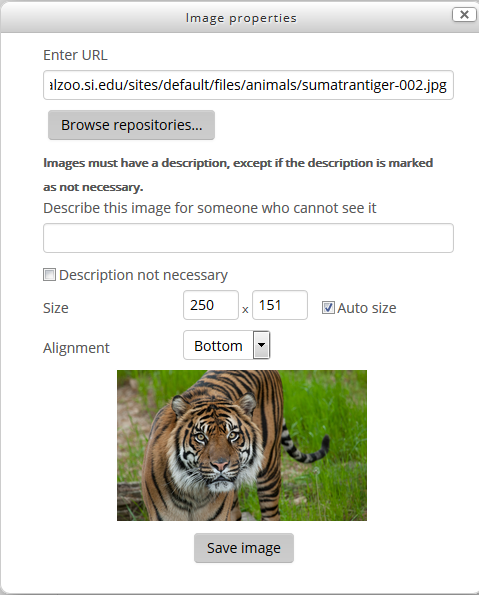 You can either enter a URL of an image or Browse Repositories to upload a NEW image. Click on Save Image to add it to the description box. 7. When finished editing the Course Summary, click Save and display. NOTE: There is a section where you can add course summary files, but it will only support image files and the images will not appear on the course. 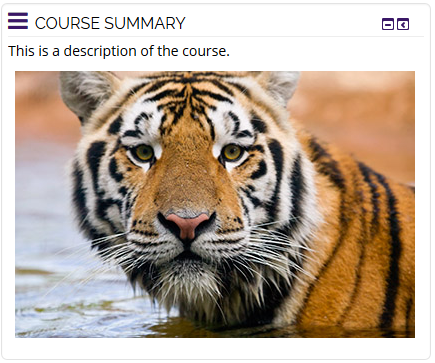 You can access the file when you add an image to Course Summary text box. It will appear in the Server files when you click on 'Browse repositories'.